The Best Way(s) to "De-Bug" Books ! Dryer with a shelf instead of Packtite/oven? Getting ready to move and FREAKING OUT! Can we use a Packtite for things like books? 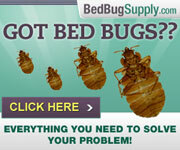 Occasionally the question arises on how to treat books in which bed bugs may be present. Hi, I’m Paul Bello author of The Bed Bug Combat Manual, welcome to today’s show. When dealing with books, furniture or any item which may become infested with bed bugs perhaps it’s wise to first consider: what is the actual likelihood or probability that this item is, in fact, infested? While this is true of any item, today we are going to focus on hard cover books. So in addition to the probability or likelihood that a book is infested, we also need to consider how and when we need these books. If you’re a student studying for your biochemistry final, you’re pretty much going to need to have access to your text books immediately and we’ll discuss that later in today’s show. 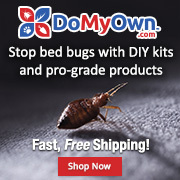 Now, if your situation is truly “a bed bug ground zero” type location, where hundreds or thousands of bed bugs are seen everywhere, then it’s fair and reasonable to assume that bed bugs are probably going to be found in your books and other stored items too. However, if you’re finding just a few bugs present in places where you rest, such as your bed frame or sofa, the odds that bed bugs have found their way into books stored on a shelf away from the bed is slim. But, if say, you're falling asleep reading books or studying in bed, then the likelihood of bed bugs getting in your books increases. In short, it is wise to weigh the risks in a reasonable fashion lest we drive ourselves crazy and do unnecessary work for no good reason. This said, let’s talk about how to de-bug books using various techniques and methodologies , both chemical and non-chemical. Of course, each of these options has its own advantages, disadvantages and costs associated which we will discuss. Note that we’ll be considering hard cover books only for purposes of today’s show. By the end of today’s show, you will be able to decide which treatment methodology option is best for you! Bed bugs are well suited to surviving extreme cold temperatures for extended periods of time which becomes a concern when considering a freeze type treatment. While nearly everyone has a kitchen freezer, these are not well suited to kill bed bugs 100% in a timely fashion due to the variations in temperature as the door opens and closes. A chest type freezer is better choice since it is not as affected as a typical upright type freezer when the door is opened as cold "falls". However, if this is your chosen option, you will need to keep your books in the freezer for many days if not weeks to attain 100% mortality. 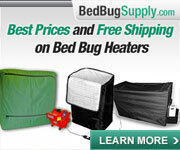 It is a well-known and established fact that bed bugs more readily succumb to heat than they do to cold. 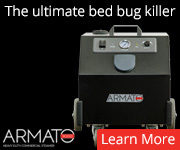 In short, bed bugs are good at cold but heat, not so much. How heat is delivered can affect the overall results and the treatment exposure time necessary to provide 100% mortality. Convection heat works better than conduction heat and this subject has been beaten to death on the Bedbugger Forum in the past. However, what’s not been addressed so much is the fact that even in a convection type heat delivery system application, conduction heat is happening as well in the micro-environs. It’s thermodynamics, it’s physics and it’s unavoidable but, that’s totally another subject. For heat treatments there are a number of commercially available small/portable type units such as the PackTite, Thermal Strike and others which may be purchased for such use. 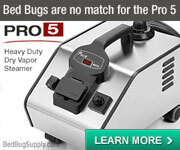 Note that we do NOT want to apply liquid spray type pesticides to books! The discussion here is limited to vapor type insecticide applications which can kill bed bugs but not harm the books being treated. 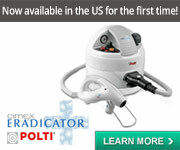 Currently, there are two products available with which to conduct such treatments. [Please note that your host for today’s show -- that’s me -- has a professional relationship as a consultant for a manufacturer of ddvp containing pest strips.] The two products are the rag in the bag product, which is neem oil, and pest strips, which contain the active ingredient dichlorvos. Of course, with any pesticide application we must ALWAYS READ AND FOLLOW LABEL DIRECTIONS! Neem oil is nothing new and has been around as a formulated pesticide for many years. The active ingredient in neem oil is known as azadarachtin because it is extracted from the seeds of an evergreen plant Azadirachta indica. 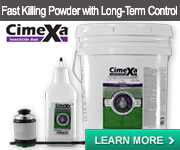 Neem oil based pesticide products are available in a variety of choices on the market today. In fact, the folks that make pest strips also have a number of azadarachtin containing products as well. Neem oil is considered a green or natural type product. Pest strips are resin strips impregnated with the insecticide active ingredient dichlorvos. This product has been on the retail market since the 1960s and has been used in pet flea collars and other retail insect killing products for many years. When compared to other insecticides on a dose-per-dose type basis, it is likely the most potent and effective active ingredient against bed bugs available with the exception of the highly toxic and deadly fumigant compounds. Please note that if you elect to use pest strips that it’s easier to work with a storage container type bin as the rigid sides maintain the air or head space necessary to allow the treatment vapors to move within the treated space in a superior fashion to that of a plastic trash bag. The pest strips should be taped or fastened to the inside lid and the lid sealed using packing or other suitable tape. However, if you use plastic trash bags, you’re better off not filling these bags beyond 50% full such that you can capture air within the closed bag to allow space for the treatment vapors. All sealed treatments should be labeled and dated. Another methodology would be to simply seal and store the suspect books long-term. 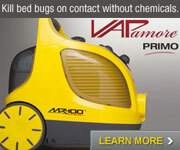 Doing so would lock any bed bugs in causing them to expire from starvation given sufficient time. Books may be sealed in plastic bags or storage containers. In earlier shows it seems that the option of immediate physical elimination was not well presented or discussed. This option would be ideal for students and those who require immediate access to a book or books. So, let’s look at how this may be done. Basically, all you need do is carefully and thoroughly inspect your book for bed bugs and bed bug eggs. Physically remove the bugs and eggs, and you’re good to go. Here are some tips on how to do this. a. Work in a well, brightly lit area so you can see well. b. Use a large magnifying glass if you need to. c.	Hold your book over a large white or light colored smooth surfaced container such as a bath tub, sink, baking dish, plastic storage container or other suitable surface upon which a bed bug or egg would be easier to see. d.	Carefully inspect the book in a thorough fashion such that no pages or areas are missed. e.	If a bed bug or egg is found, use a credit card, business card or other suitably firm object to scrape the bug or egg off your book. g.	Work carefully and thoroughly until you are satisfied that you’ve completely examined your book and that no bed bugs or eggs are present on that book. h.	Note that it is difficult to inspect the spine are of the book. To do so you will need to use a decent flashlight and look carefully inside the spine hollow if present. When done, you may then store the de-bugged book in a zip loc bag or other suitable bed bug proof storage bag or container. i. Remember, you can store the books you need in a zip loc so that you can have access to it and not have to worry about bed bugs getting into it. As for me, there's lots of books here. If I had to, the grand majority of those books would be sealed and those that I use regularly would be de-bugged in an immediate type fashion described above. That’s all we have for today’s show. If you have questions or comments be sure to send them in and we’ll address them during next week’s show where we'll discuss nuclear fusion as a viable but cost effective bed bug killing methodology. I just took my name off your web sites mailing list. Do not open before Christmas ! Thanks for the great tips on the books!! Let's get down the business... to defeat... the bugs. HWAH! Very nice post Paul, thank you! I would like to mention one additional point that was mentioned in another thread . . . If you decide or choose to go with the heat method and if you have a dryer in your home, that may also be an option for heat treating. Many models of dryers now have a shelf available that you can purchase and use for items that you don't want tumbling around. Monitoring temps would still need to be done to assure kill temps are reached. ABF: Many models of dryers now have a shelf available that you can purchase and use for items that you don't want tumbling around. Thanks Abs cause it was her idea & questions that resulted in the above.